The driver of a granite-laden truck lost control and hit a coach of Nanded Express at a level crossing in Anantpur district. Five persons including Karnataka Congress MLA Venkatesh Naik from Devdurg, were killed when a granite-laden truck collided with the Bengaluru-Nanded Express today early morning at a level crossing in Anantapur District. Anantapur Police said that five passengers in the H1 compartment including MLA Naik and the helper in the truck died. “The truck driver jumped out seconds before the impact and fell unconcious but survived and he has been questioned. The truck could not stop as the brakes failed. The death toll is 6,” additional SP K Malyadri said. The incident occurred at 2:23 am near Penukonda when the truck driver crashed through the gate and collided with the train, which caused three coaches to derail. 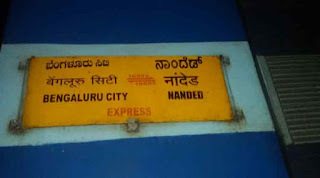 South Western Railway officials said that the truck rammed into Train No.16594 Bangalore City-Nanded Express while it was passing the level crossing gate between Rangepalli and Penukonda Stations in Anantapur district on Dharmavaram Section of Bangalore Division of South Western Railway. 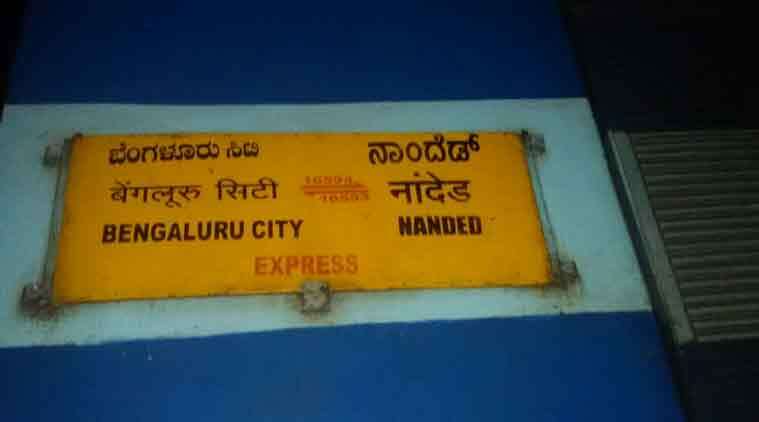 This is the second major mishap involving the Bangalore -Nanded express in two years. In December 2013, a fire caused due to short circuit killed 26 people in the B1 compartment while the train was passing by Puttparthi in Anantapur district.